There are two main types of casino game players, the first type of player are those who love nothing more than visiting a land based casino and playing all manner of different games that are available to them in such a venue. There are also a growing number of players who cannot be bothered with the fuss and hassle of travelling to a land based casino and much prefer to stay at home and do all of their casino game gambling from the comfort of their own home by signing up to and playing at an online casino. This guide is going to be giving you an insight into just where you can play land based casino games if you are living in or are visiting Bradford, and we will also be letting you know which are the best online casino sites that you can sign up to and play at also. If you have never gambled at either an online casino or have never visited a land based casino before then this guide will be an ideal one to read through as by you doing so many questions that you do probably have and are seeking the answers to will be answered throughout this guide, so please read on and make full use of it. Bradford is one of many Cities in England and has a population of around 293,277 people, being a major City there are many people who do visit each year and below is a video of what is on offer if you do fancy visiting. When visiting Bradford you will find there are many places you can gamble in and those include lots of betting shops and betting offices, amusement arcades and of course land based casinos too. If you do live in Bradford or you are visiting Bradford you will need to be over the age of 18 to be able to legally enter a casino and gamble there. Be aware that there are other forms of gambling under 18’s can partake in when in Bradford and those include buying scratchcards and playing the National Lottery and playing low stake fruit machines in amusement arcades too. One thing that you will need to have on you is photo I.D. be able to gain entry into a casino in Bradford and when playing at an online casino you will be required to supply some form of identification to the casino site you are playing at that has your name, age and current address printed upon it. The top and most visited land based casinos in Bradford are listed below, if you are planning a trip to Bradford then you are going to find plenty of different casino games are available to you at each of the following casinos, but you will need to be over the age of 18 to gain entry to any Bradford casino venue. There are 2 casinos in and around Bradford, and below you will find all of the contact details of each of them therefore please therefore read on for more details. Grosvenor Casino Bradford – If you plan on visiting this casino then here is the phone number along with the address: Address: Vicar Lane, Bradford BD1 5LD, UK Phone: +44 1274 303010. Napoleons Casino Bradford – Another land based casino you may be interested in visiting is this one and you will find the address and phone number are as follows: Address: 37 Bolton Rd, Bradford BD1 4DR, UK Phone: +44 1274 391820. Any Bradford land based casino needs to have the relevant planning permission and licenses for that venue as issued by Bradford Council. You will also find you can play at many online casinos and mobile casinos some of which are licensed by the Government of Curacao. Playing at a mobile or online casino in Bradford will see you also being able to access and play a very large range of different casino games many of which may have designed by Thunderkick. 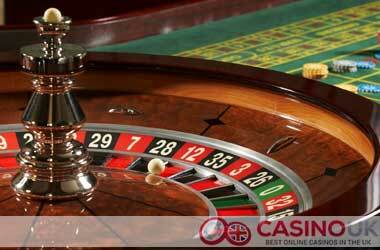 All forms of gambling in Bradford are regulated and licensed by the UK Gambling Commission. If you have any questions regarding any form of gambling in Bradford or wish to make a complaint about any casino or gambling establishment in Bradford then you will find information on how to do so on their website. This section of our guide to Bradford land based casinos and also casinos that you can access online in Bradford is going to be answering a range of additional questions that you may be seeking the answers too, so please do read on. If you want to visit a land based casino in Bradford you will be best advised to check the respective website of the casino you wish to visit for information on their opening times and also the range of games that you will be able to play there too. Can I play low stake Blackjack games in a land based casino? It is not only going to be slot machines and gaming machines that you can play in a land based casino and as such if you are a fan of playing card games such as low stake Blackjack then you will be pleased to learn that low stake Blackjack games are often available in many land based casinos. When playing low stake Blackjack games you will find a range of different table stake limits will be on place on those table games so you will be able to afford to play them! At which casinos can I play Single Deck Blackjack? There are Single Deck Blackjack games available at NetEnt powered casino sites along with a large number of other Blackjack game variants too. There are many benefits of playing Single Deck Blackjack online and below we will enlighten you on the game play rues of this game. Single Deck Blackjack when played perfectly will return a house edge of a low 0.48% this variant is one on which there are 1 deck of cards in the shoe and when you play it if the Dealer has been dealt out a soft 17 hand then he will Hit that hand. What types of slot machines are available in Bradford? You are going to come across video slot machines in casinos that are based and located in Bradford and as such those games are going to be offering you a five reel paying structure and each one you play will also have on offer at least on type of bonus game too! Is the Captain Quid's Treasure Quest slot available at online casinos? IGT have designed the Captain Quid’s Treasure Quest slot machine and that means you will be able to play it online, there are lots of casinos that do offer the Captain Quid’s Treasure Quest slot game so you will have no difficulties finding one to play it at either for free or for real money. The Captain Quid’s Treasure Quest slot from IGT does offer a high variance type of playing structure, which means any spin could be a huge paying one but the best aspect of the Captain Quid’s Treasure Quest slot is that it has been designed to payout over the long term 95.01% as its payout percentage so do give it a try when you can! Do progressive jackpots get won in Bradford casinos? It is often progressive games that many real money land based casino game players love playing the most and that is one type of game you will always find available to you know matter whether you play in a land based casino in Bradford or any land based casino in any other part of the UK! If you have never played casino games before and are somewhat wary about testing them out, it may be a good idea for you to play them online at an online casino, for as soon as you sign up to such a site you will be able to play their games for free and at no cost. If you find some you like playing you can then play them online for real money or play them in person as a Bradford land based casino instead! St. Stephen’s Church, 48 Newton Street, West Bowling Bradford, United Kingdom, BD5 7BH is where you will find a Gamblers Anonymous meeting being held if you do feel that you cannot control your gambling and live in or around the Bradford area, and you can get the dates and times for that meeting and full directions to that venue from the GA website.